Studio Royale is nice and in a very good neighborhood. They gave me basically a tour of the place. It looked fine. I just had a 10-minute tour to see the place. It is a very decent community with a nice courtyard. They only showed me a single room; I didn't see the sharing room when I was there. It's an expensive place, but it looks nice and clean. I saw people watching TV. They told me that they have other activities that they usually prepare on a daily basis for residents. They have outings. The package is basic. They provide accommodations, meals, cleaning, laundry, and some basic services, like some exercises and activities. My dad has congestive heart failure, so he is definitely going to need assistance, and that's all extra services. The staff told me everything that I wanted to know. She gave me all the prices and the brochure for me to review. She answered all of my questions. It was a nice place; it was a very interesting building. The best way to get to know a community is by scheduling a tour. See the facilities, meet the staff and residents, and get a feel first hand what it's like to live at Studio Royale Assisted Living Assisted Living. Resting on the ground of the famed back lot of the MGM Studio, Studio Royale Assisted Living in Culver City, California features quality spectacular care in a unique environment. We are set in a vibrant neighborhood surrounded by movie studios and numerous shops and restaurants. 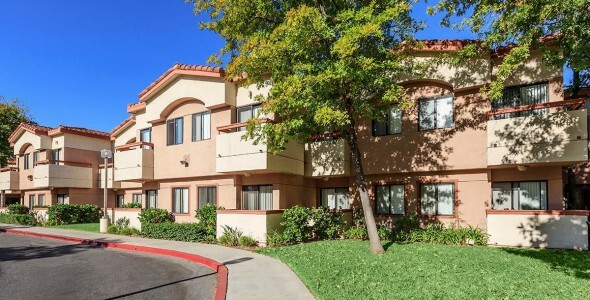 Our community offers a variety of well-lit private and semi-private apartments. Each apartment is cable-ready, has air conditioning and a private bathroom. Common areas include a movie theater, multiple patios and shade-trees, as well as on-site beauty salon and barber shop. Studio Royale Assisted Living offers nutritionist-approved meals every day in our restaurant-style dining room. Our staff crafts a host of programs and activities, keeping residents physically, mentally and socially active. Residents can expect events such as guest lectures, religious services and cooking events. At Studio Royale Assisted Living, we are focused on providing wellness solutions to our residents so they can thrive and live a full life throughout their retirement. Security is assured by 24-hour staff, available to assist and respond to daily needs. We are also there to assist with activities of daily living such as mobility, grooming and bathing. Additionally, residents have access to home health care services to administer more advanced care. Visit us at Studio Royale Assisted Living and see how we can care for you or your loved one.